Graduating from high school is a defining moment in every young person’s life, not to mention his parents. That’s why throwing a graduation party is so important. When it comes to graduation party themes, you may feel limited. But just think toward the future. What is this young person doing next? What are her future goals? Where does he see himself in five years? Have fun with a high school graduation party because it is the only one a young person will ever have. 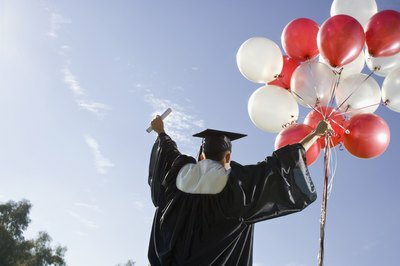 There’s nothing wrong with celebrating a high school graduation by giving high school a fond farewell. Make blackboards by painting poster board with blackboard paint and use them as signs. Put one in front of the party location announcing the guest of honor. Place them around the party venue for guests to leave inspiring advice to the recent grad. For favors, hand out mini-chalkboards and write a personal message to all of your graduate’s fellow classmates. For many high school graduates, the only thing separating them from the real world is two short summer months. Celebrate their entry into adulthood with a real-world themed party. 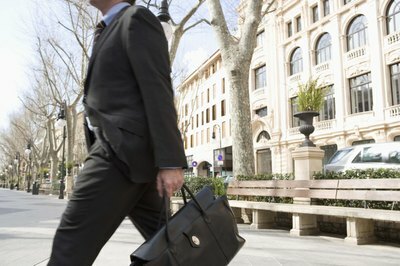 Have servers dress in work clothing and carry mini-briefcases filled with hors d'oeuvres. Post "memorandums" around the venue labeling the tables and instructing guests to have fun--while they still have time. And hand out 'Hello, my name is' labels for party-goers to wear. You can even use the mini-suitcases to hold party favors or hand out Dilbert coffee mugs. 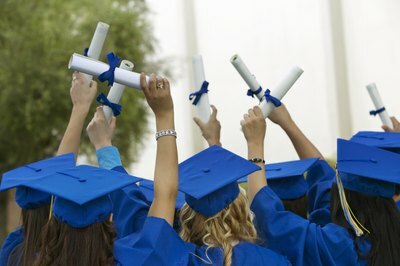 A college-themed graduation party could be the hit of the season. Decorate the venue with pennants from various colleges. You may want to throw in a few extra from the school your grad is attending. Hand out pens, pencils, erasers and soft-drink can holders from various universities as well. Encourage guests to show up wearing their favorite college T-shirt. And send out invitations that resemble college-acceptance letters.